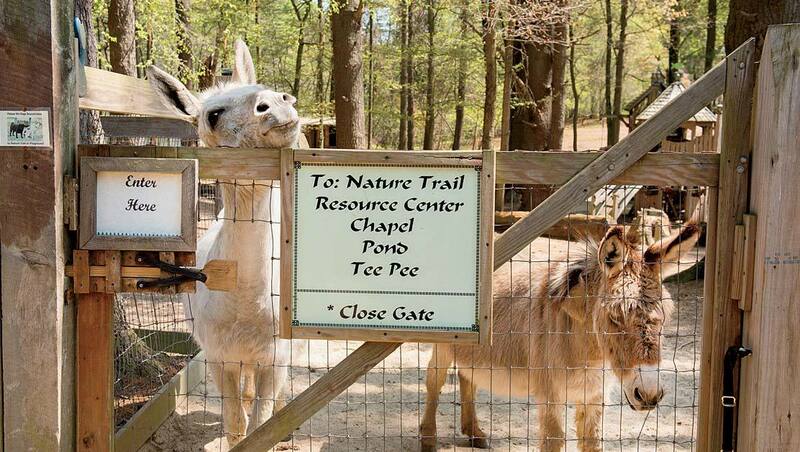 Beyond the entrance, donkeys greet visitors. Peafowl commune at the aviary. The farm lies between a country road and Meadowbrook Pond. An old pine grove shades the chunk of land where the donkeys and alpacas were hanging out recently while a farrier cleaned and trimmed their hooves. Visitors are free to watch, ask questions, and learn. A few slowly approached the three donkeys and laid hands on their manes, smoothing down the fur. The four alpacas have big, liquid eyes, but are skittish; a calm approach occasionally yields a silky touch of their chocolate-colored fur. The horses and mini-horses are in paddocks, where volunteers accompany visitors, but rabbits are out and about, and doves fly in and around the aviary, where Jin (a red, blue, and yellow pheasant found in the parking lot of the Toys “R” Us in North Attleboro) lives with the peafowl. Chickens peck and squawk here and there, often congregating with the roosters, Harry and Larry, at the far end of the property, on the porch of the David Sheldon White Resource Center, which houses events, educational programs, and even beds for volunteers who travel from afar. White built it, as well as her own wood-framed house, and other beguiling structures scattered around the landscape. Sheds, cabins, chicken-wire enclosures, and even a tiny chapel to commemorate residents who have died, are often flanked by wildflower and herb gardens, or shrouded by wisteria. The handsome, hexagonal stone barn with round windows, a skylight, and a shingled roof, was constructed this past winter for the donkeys. Visitors also gather at play zones, picnic tables, or around a fire pit. The place has a storybook feel. Visitors sit on bentwood furniture to watch the paddock, or wait for animals to wander by. Geese favor the hand-dug pool, banked by rocks. Dozens of stone animal statues are tucked into nooks or stand on pedestals in the gardens, offering the makings for an impromptu treasure hunt. Children are encouraged to explore and simply spend time with the animals, without any agenda. 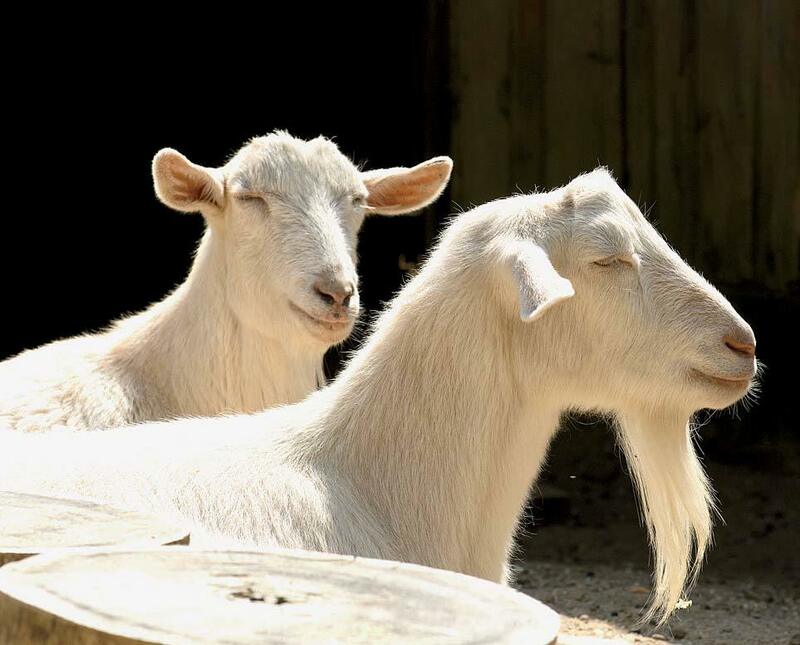 And unlike at petting zoos, no attempts are made to hide the evidence that this is a farm—manure and mud, dust, dirt, loose feathers and fur, food scraps, hay, grain, tractors, hoses, ropes, shovels, and sludge buckets—or the endless labor required to run it. Play areas for all ages blend in with the “storyland” ambiance. 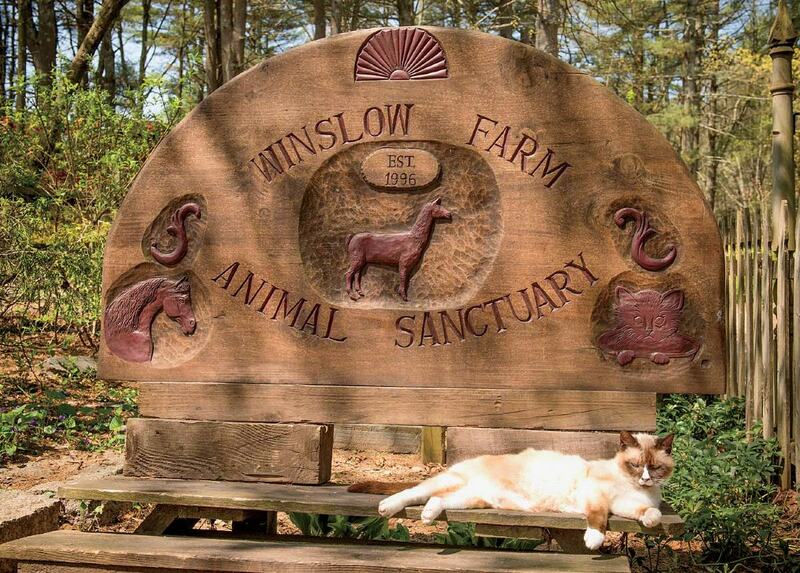 Winslow Farm is located on property that was owned by her father’s family until it “was lost due to his illness,” she says. In her twenties, White, who attended college for a year before choosing to stay home and care for her father full time, decided to buy back a portion of the land and build a sanctuary. Working at three jobs (including as a veterinary assistant), she eventually saved enough money to do just that. When networking with other animal-rights and rescue organizations, White is happy to share information, but her daily duties are too demanding for much formal political activism. Even adopting out animals she rescues—which she used to do, especially when she had about 300 animals on site—takes too much time and effort; too often adopters “did not realize what they were getting themselves into” and returned the animals.